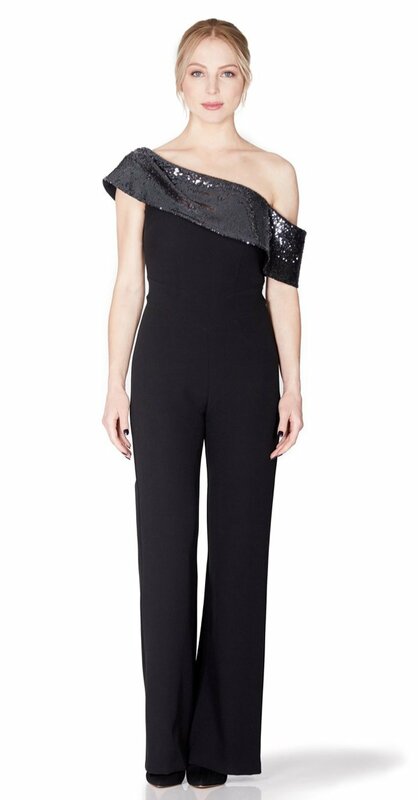 Our Jumpsuit is a timeless piece to complete your autumn wardrobe. 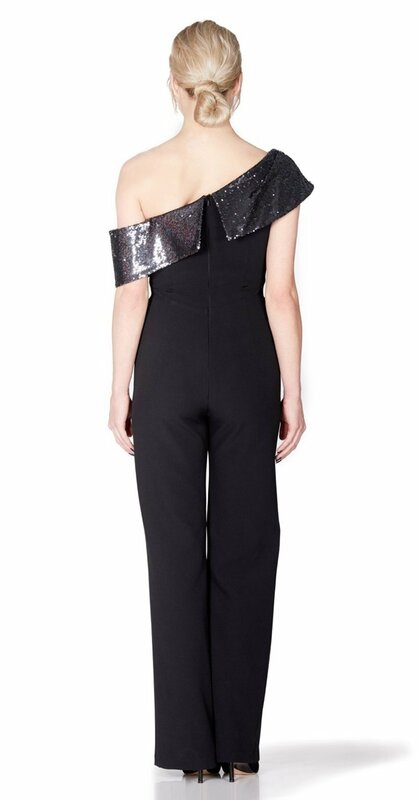 In a classic shade of black, with off shoulder sequin detail that glistens beautifully when it catches the light. Flattering shape with a fitted waist and full length.